Recently whisky has become a top choice for me when I dive into the drinks cabinet but this wasn't always the case. 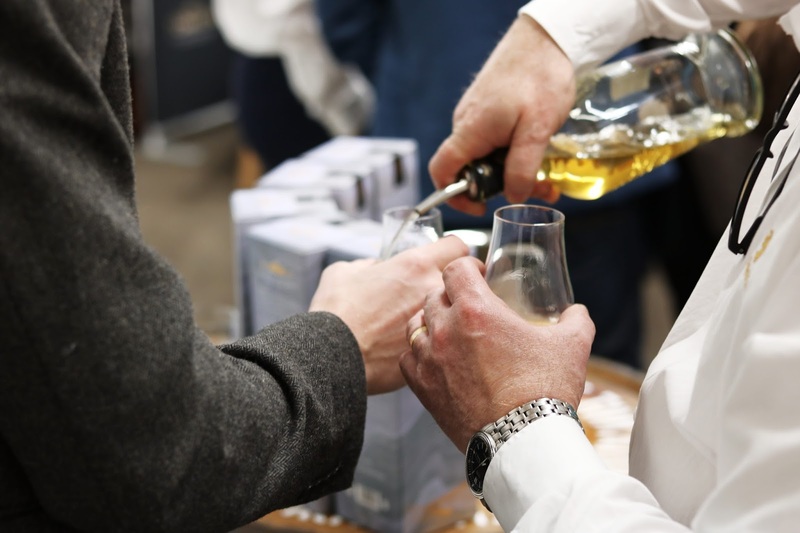 I remember for years I would drink the stuff whilst putting on a brave face and pretending to enjoy it just because I'm Scottish - its in the rulebook that I'm supposed to love whisky right?! Thankfully though, like Olives the more I tried the more I loved it. Now I can't get enough. 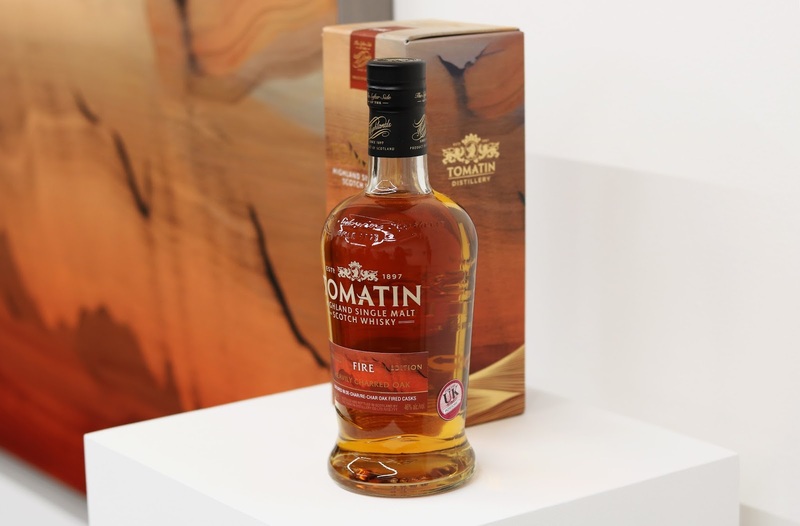 I have a few favourites these days but one I had never tried before was Tomatin. Being that the distillery is just 20 mins from my old home town of Inverness and that I even have a pal who works there there was really no excuse as to why I had never visited. 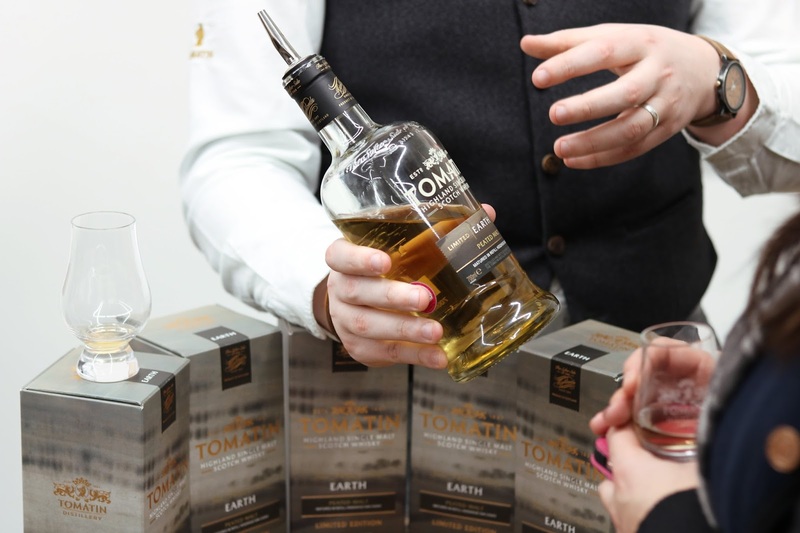 Thankfully the guys at Tomatin were on hand, at a recent launch in Glasgow, to introduce me to their new whisky collection - a collaboration with leading contemporary artist Eva Ullrich. 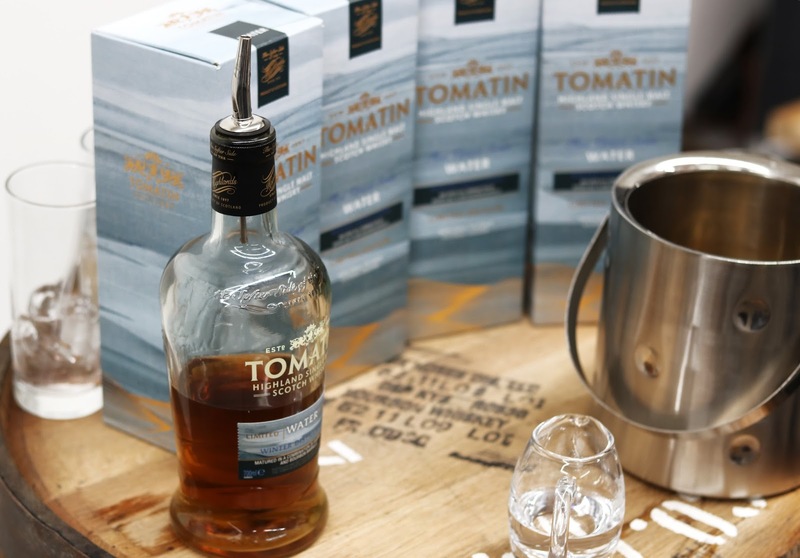 Tomatin Whisky have created five distinctive blends. Each one represented by one of the five main elements nessesery to produce a good whisky. 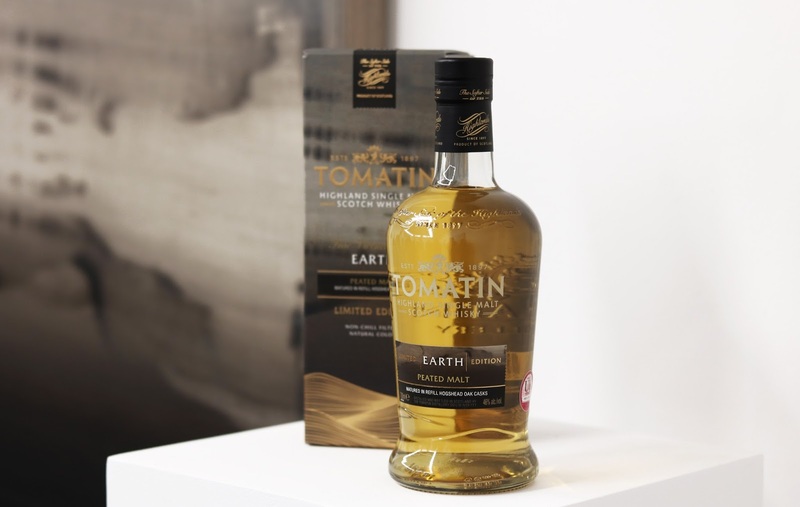 Each element is represented by an incredible piece of art work by Eva Ullrich which really shows each element in a natural way whilst portraying the rolling hills of the Tomatin landscape. Enriched with the element of wood through careful selection of French, American & Hungarian oak casks. With tastes of brown sugar, orange peel, soft vanilla and an oaky spice. Matured whisky in heavy charred oak casks giving some vanilla flavours and citrus zing. Using Peat to dry the barley gives this whisky a nice peaty finish. Considering that I'm not normally being a fan of peaty whisky this one was surprisingly pleasant, the smokiness was perfectly subtle. 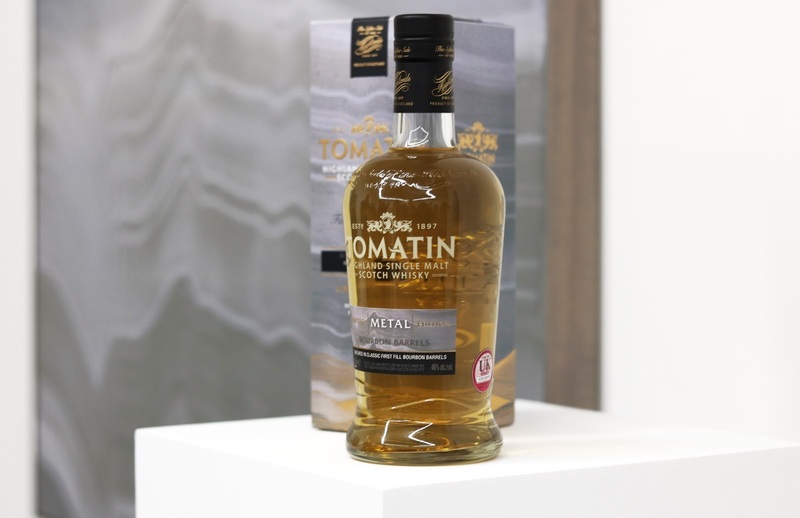 Inspired by the copper stills at Tomatin and placed into first fill Bourbon casks this is a typical Tomatin whisky with flavours of sweet treats. Taking water from the Alt-na-Frith burn and employing winter-distilled spirit (using reduced contact with the copper stills) gives this whisky an enhanced final flavour of fruit, chocolate and honeycomb. 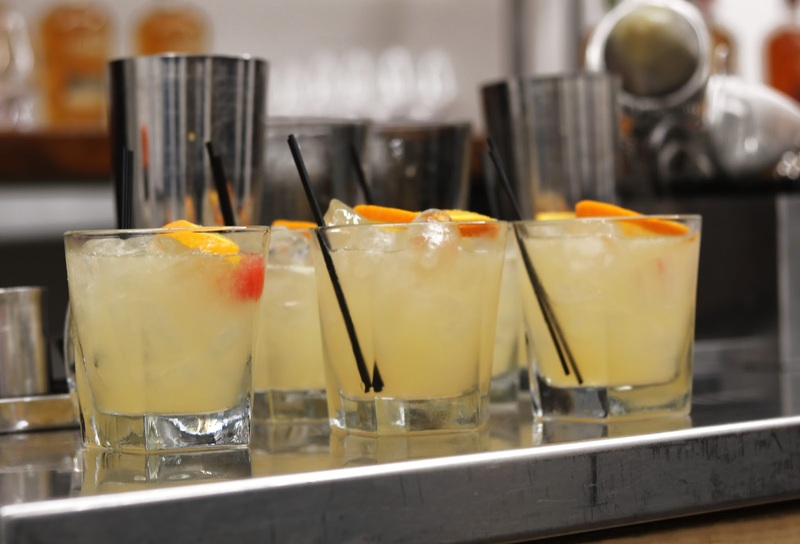 Don't worry if your not a huge fan of drinking whisky neat as Tomatin have you covered, they have a great cocktail list over on there website to keep everyone happy. If you spot any of the new range when your out and about on your travels or visiting Scotland you should definitely give them a try! 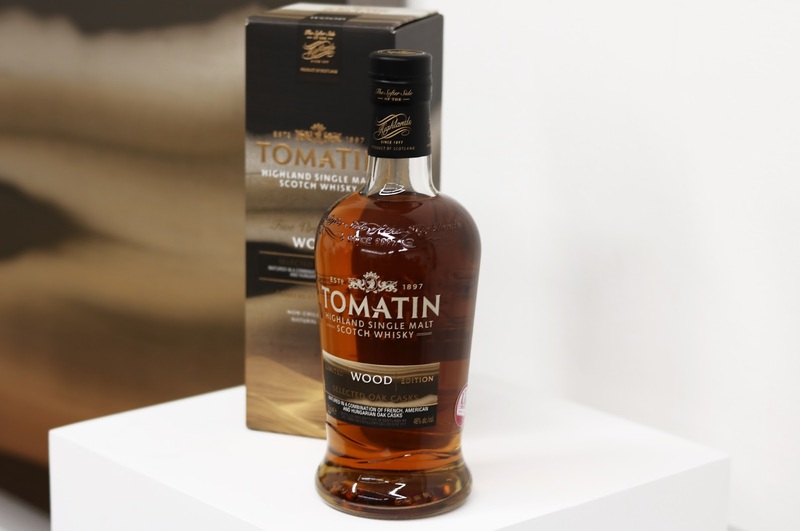 Tomatin is definitely a whisky I will be adding to my collection and will be picking up a bottle of my favourote "Water" next year when its released. You can get your hands on some of these at the end of the year and into early 2018 when they are officially launched.